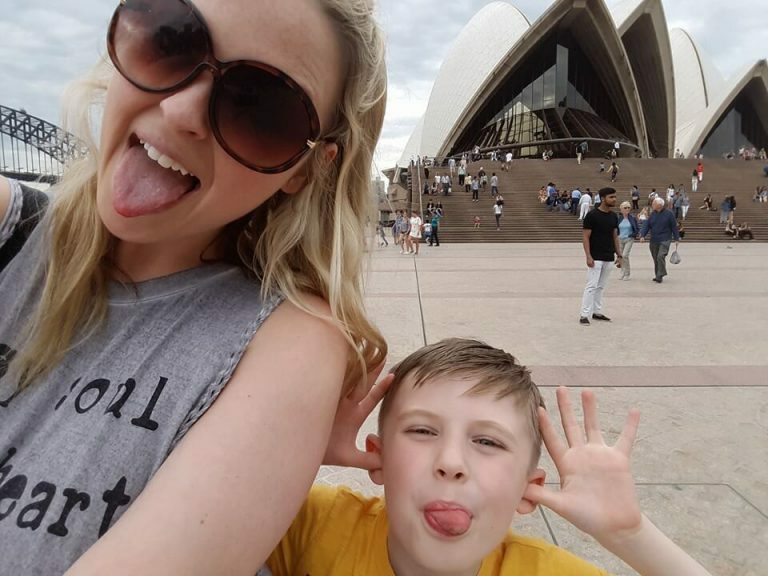 Charlotte, young mum to Joseph, has shared her experience of travelling through Australia with her then 7-year-old son! Read on to find out more about their adventure and how Charlotte found the experience. Travelling to different places has always been a big part of my life brought on from a young age by my travel-loving parents. At age 3, I was Interrailing through Italy, and by age 6 I had trotted coast-to-coast in the USA experiencing some of my happiest childhood memories. This love of adventure continued into adulthood and lead to me taking some trips alone. I have been very fortunate, and it is safe to say when travelling I feel implausibly happy. In 2015, I decided to share my obsession for adventure with my son Joseph, then 7, and we embarked on our first ever trip, just the two of us, to Australia for a whole month backpacking up the East Coast. It is safe to say our trip was the adventure of a lifetime. A whole month of mum and Joseph time exploring a brand-new place was priceless! Our relationship developed and we grew closer than ever. It was amazing to see how the trip affected Joseph too. As a shy boy he was often quite reluctant to try and befriend people, but his confidence soared and he was making friends in the pool. He even volunteered himself during a show at the science museum we visited, and he was picked! (Proud mum moment – he had never done this before. I was bursting with pride). We stayed with family for the first few days of our trip to catch up and visit our little cousin. It was great to see our Aussie family (and not to mention settle our jet lag). We spent the first week mooching through museums, which were fantastic for kids! They even had a Minecraft exhibition! He loved it! But anyone who is a parent of a Minecraft-loving kid understands the true struggle. We enjoyed taking in the sites of famous landmarks in Sydney, took a day trip to Bondi Beach, and even stayed in a family hostel, which provided an Easter egg hunt and a roof-top BBQ for the children. After Sydney, we travelled up to the Gold Coast to Surfer’s Paradise. We spent time at the beach, chilling by the pool, visited an observatory to look at the stars, and took the opportunity to visit some of Australia’s most famous theme parks. It was there I learned that my 7-year-old was an insane adrenaline junkie who will go on any ride – the faster the better. One of our best memories of the whole trip was visiting the Great Barrier Reef. Joseph’s first ever experience of snorkelling – and what a place to start! We saw all kinds of fish and the people on board were delighted to have a child on board. We visited a local wildlife reserve where we learned all about Australia’s unique wildlife. We got to feed kangaroos and wallabies! Joseph’s life was made after he was able to hold a koala. A few days later we took a day trip into the Daintree rainforest, the oldest rainforest on the planet. It was wonderful to experience such natural beauty. As with any trip there are always challenges along the way. Having to be vigilant 24/7 can be exhausting at times, especially being a single and young mum. There will always be people who want to take advantage of that, whether it be people trying to rip you off, or creepy guys trying to get your number (gross). Having to beckon a happy 7-year-old out of a pool because you can’t leave them unattended when you need the loo is a challenge in itself! We took a lot of domestic flights to get from place to place and hopping on a flight every couple of days meant being super organised (which naturally I am not). Australia is HOT and can be unbearable at times, so we had to make sure we were sun screened up always, hats on, and plenty of water to keep us hydrated. Aus is expensive! It is expensive to get there and once you arrive it doesn’t get much better. We fitted an awful lot in to our adventure and at times it was tiring. We were more than able to fit a good few relaxing days by the pool in and took it easy. But all in all, challenges included, it was amazing and I hope to have more adventures with Joseph in the future.